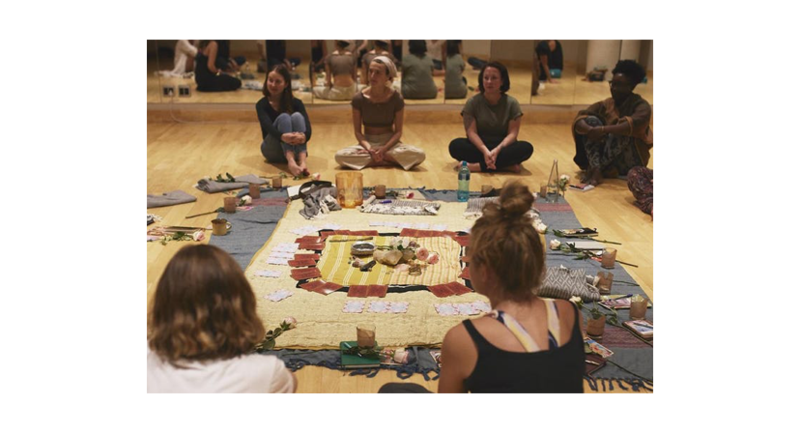 A series of Women’s Circles that create a unique opportunity and safe space for women to connect with themselves and each other. Together with Ella Grace Denton, we’re hosting a series of Women’s Circles in London and Manchester this April, creating a unique opportunity and safe space for women in our communities to connect with themselves and each other. Each circle welcomes 33 women. In connection to this, TOMS will be investing in the support of 33 at-risk women to follow a programme with Helen Bamber that is focused on a holistic approach to care, which helps turn a difficult past into a hopeful future. Additionally, proceeds from ticket sales will be donated to the Helen Bamber Foundation - so, in taking the time to care for yourself, you are also positively contributing to the care of someone else. Ella Grace Denton is a musician and community builder creating safe spaces for women to connect, heal and thrive. Hailing from London, her world centers around female empowerment, promoting emotional and mental wellbeing and sustainable living. She offers her community deeply meaningful experiences and spaces to connect through hosting Women’s Circles and Cacao Ceremonies. The Helen Bamber Foundation is a UK human rights charity supporting refugees and asylum seekers who have suffered extreme human cruelty, including survivors of torture or human trafficking. They work long term to help them recover, feel safe and integrate and to have successful, independent life in the UK.